It was a beautiful sunny day. 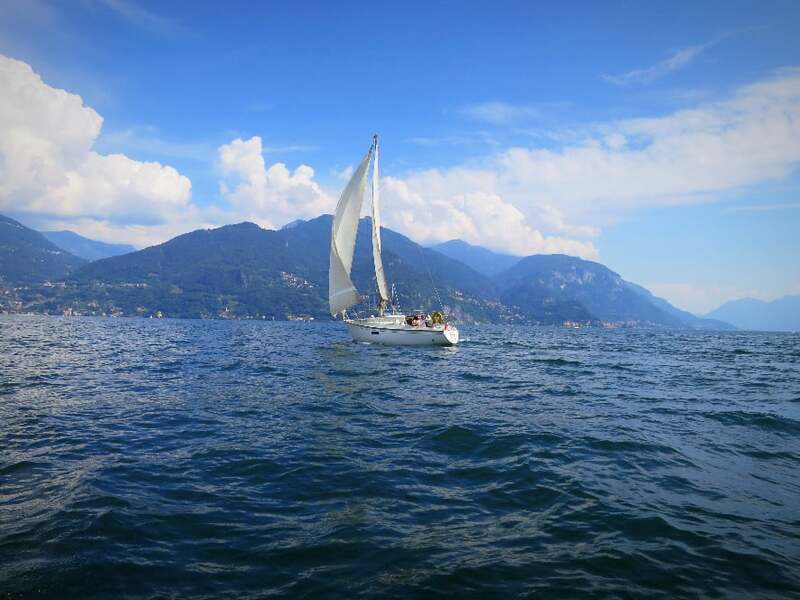 To celebrate it, my friend and I took a boat and left a small harbor at Lake Como.It felt so good to be lost in the middle of the most beautiful lake in the world, surrounded by emerald green hills and colorful little villages. I was enjoying sunbaths and breathtaking views when our boat stopped in front of a small peninsula. I was surprised because I had no idea we were planning to go anywhere in particular. After I made a few steps outside I immediately felt regret for having neither camera nor the phone to take photos, as villa del Balbianello was incredible. 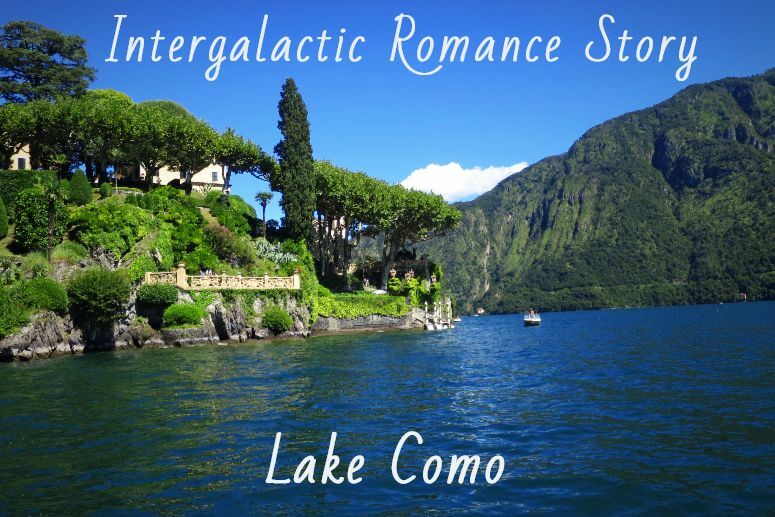 The place is a little paradise, surrounded by crystal clear waters of Como. I can hardly imagine a place more romantic and peaceful. When I close my eyes now, I can still see that beautiful scenery: ancient sacred trees, dissipating rays of hot Italian sun, and the magnificent garden. As a side note: in search of the most beautiful place in the world to shoot a scene on planet Naboo for an episode of Star Wars, George Lucas has chosen this particular villa. Cannot recall? Then watch the most romantic episode of Star Wars II – a secret intergalactic wedding of Anakin and Padme. By the way, later on, we found out that if you want to celebrate a wedding in this villa also, you need to register at least two years in advance, and probably spend an obscene amount of money. Haha, who cares. Don’t miss a chance. We then took a path leading to a loggia with picture-postcard views. There we met our tour guide – a young and charming Italian girl. I was a bit skeptical about the idea of a guided tour, for I usually prefer to explore the place on my own. The only way you can see the Villa is with a guide. Luckily, as soon as I entered the villa, I changed my opinion and enjoyed every single second spent there. We strolled the rooms of the villa, listening to the story of this magic place. Indeed, the villa is so much more than just a stage of a famous movie. Just as light attracts life, charm and pure beauty of this place attract notable people. Villa del Balbianello started as a Franciscan monastery, and later on, it became a Cardinals summer residence, and then as a home of a notorious American general. 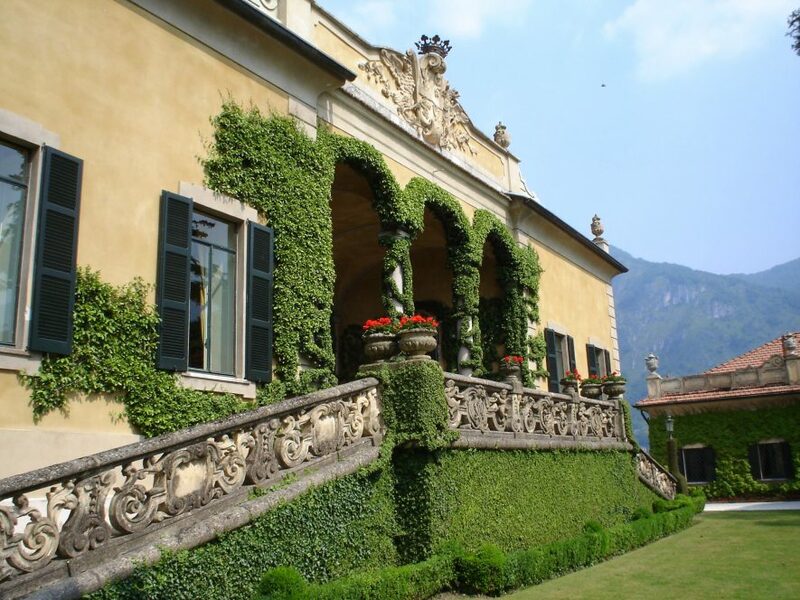 Though, I found the last owner of villa del Balbianello the most inspiring. Guido Monzino, a famous Milanese entrepreneur, mount climber, and passionate traveler, had a dream to make the villa a school for explorers and adventurous souls. He was the one, who brought villa back to life. Having a sophisticated taste, he managed to make every room unique, using rare natural materials and subtle decorations. What surprised me is that house looks cozy despite its grandeur, which is a rare combination. 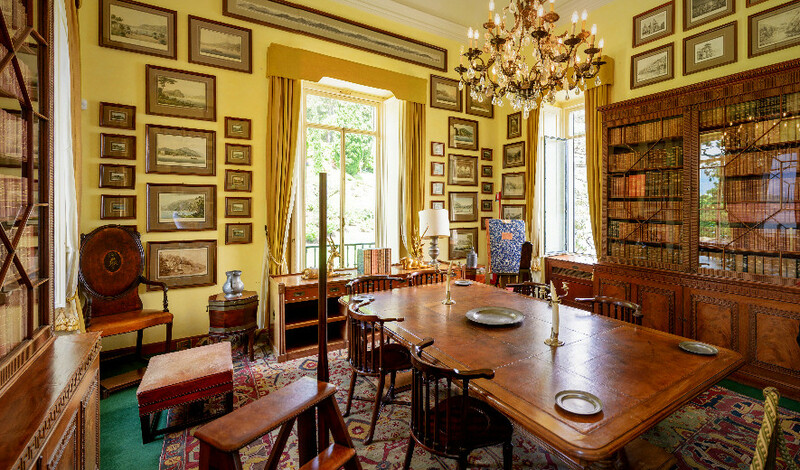 One of the first rooms you see is the library, which by the way reminds me of the Magic Library from Harry Potter movies, and has an impressive set of maps and rare books about alpinism, geography, and discoveries. This bibliographic collection, gathered by G.Monzino, is one of the greatest in the world. How cool is that? But wait, it’s just beginning. So much more awaits! Every single corner of the house is full of treasures. I would never expect to see such an incredible collection of artifacts there. Authentic ancient masks, miraculous little statues, centuries-old vases, rare glass paintings. Many of the artifacts are dating XIV-XVI beforeChrist. It is hard to describe the excitement of being able to be there, touch the history, and even be a part of it. It was better than any museum I ever visited, or any history lesson I had! I would have loved to spend the whole day there, looking at every single detail, but other visitor groups were already waiting. We walked back into the garden to relax and admire views before leaving. 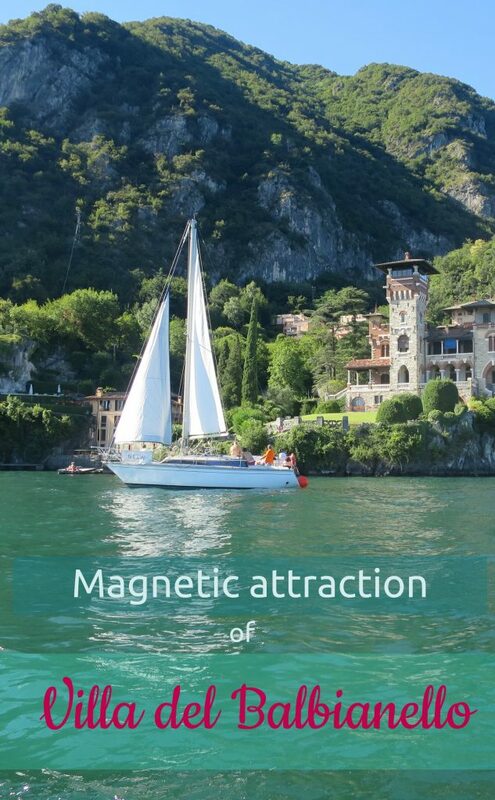 I would suggest seeing villa del Balbianello if you are in Como area, at least for the reason that wherever you look, you see a postcard view. P.S Luckily, we were able to take few pictures before phone battery of a friend died.